On November 7, 1885, when Canadian philanthropist Donald A. Smith drove a ceremonial last spike into his country’s transcontinental railroad at Craigellachie, British Columbia, almost 3,000 miles of tracks were finally joined as one. Given Canada’s immense size and inhospitable climate compared with its southern neighbor—whose shorter, 1,907-mile transcontinental railroad was opened in 1869—the completion of Canada’s transcontinental railroad marked the beginning of a vigorous global marketing effort to fill the nation’s vast, uninhabited spaces with people. This story of how graphic art was used to fulfill this Canadian version of Manifest Destiny is now the subject of a beautiful new book by Canadian-graphic-design authority Marc Choko. Titled Canadian Pacific: Creating a Brand, Building a Nation, the five-pound tome is available from Callisto Publishers GmbH. Top: A Peter Ewart poster for rail travel, circa 1955. 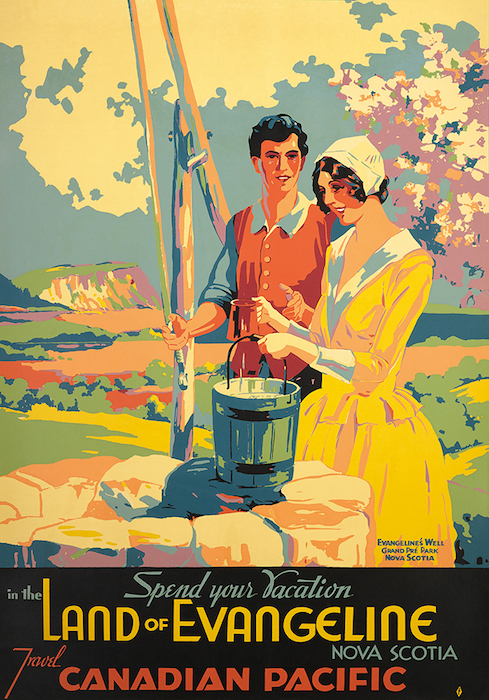 Above: A Norman Fraser poster promoting tourism in Nova Scotia, 1939. As Choko’s book amply illustrates, the posters and brochures produced by CP for its eventual network of railways, steamships, airlines, and hotels were routinely well designed—and frequently gorgeous. This should come as no surprise considering the caliber of artists the company employed, although not all of CP’s artists were necessarily widely acclaimed. The company also hired artists who worked in near anonymity at the time, and about whom even less is known today. 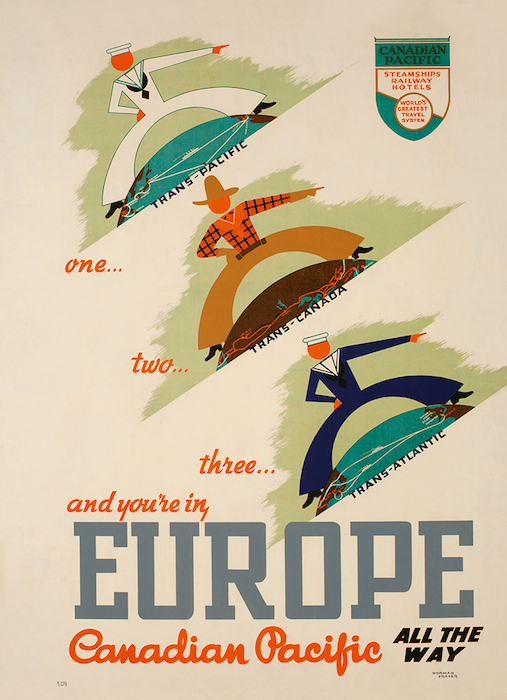 Norman Fraser poster promoting Canadian Pacific’s routes to Europe, 1939. Fraser didn’t exactly make the job of piecing together a picture of his output at CP simple. “He didn’t sign a lot of his posters,” Choko says, “so we’ve had to guess that a lot of the posters that are marked with an ‘F’—and only an ‘F’—are his. He also worked in a number of very different styles, probably doing whatever the art director of the CP studio in Montreal was asking of him.” This combination of high output, varying styles, and lack of documentation like written contracts makes Fraser one of the Canadian Pacific’s most elusive and mysterious artists. 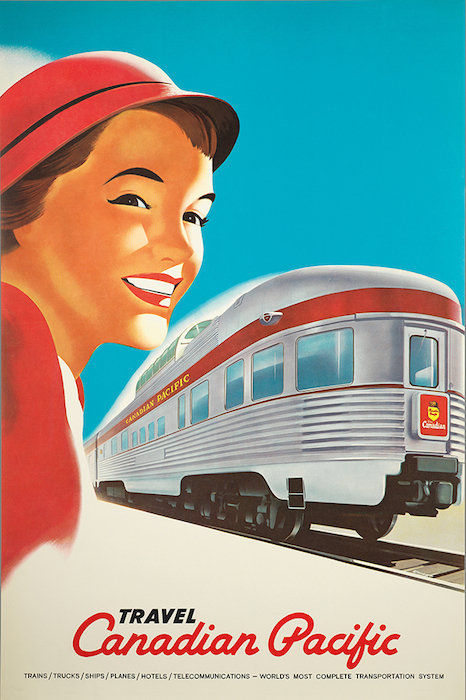 Peter Ewart’s first poster for Canadian Pacific, 1940. Much more is known about Saskatchewan native Peter Ewart (1918-2001), who, Choko writes, knew in high school what he wanted to be when he grew up. Immediately after high school, Ewart studied at the Sir George Williams College in Montreal, the Art Association of Montreal, and the Commercial Illustration Studio of New York City, which promoted the avant-garde aesthetic being pioneered by E. McKnight Kauffer and Joseph Binder and practiced by Otis and Dorothy Shepard. 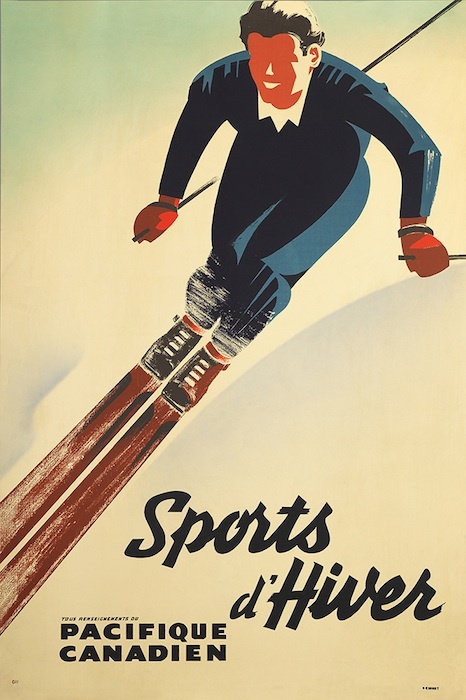 Ewart’s first poster for Canadian Pacific, “Sports d’Hiver,” which was commissioned in 1940, is one of the company’s most iconic images. Over the next two decades, Ewart produced more than 30 more posters for CP, invariably of attractive people flashing big, toothy smiles. 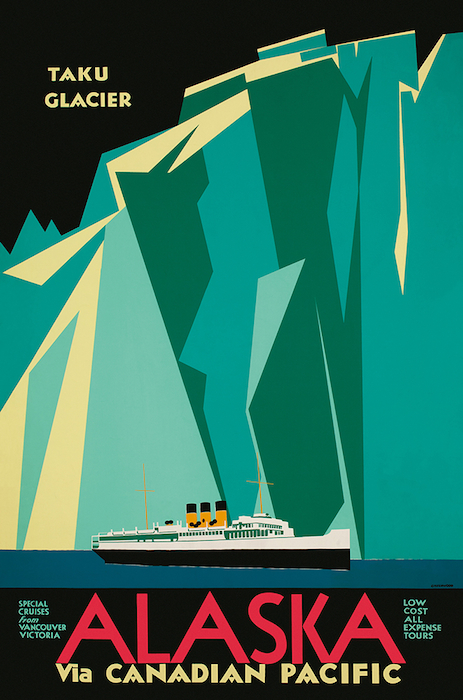 Charles James Greenwood poster promoting cruises to Alaska, 1935. 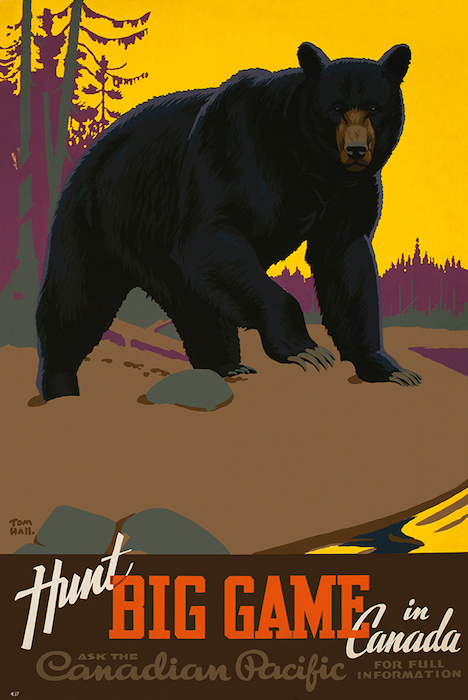 Thomas Hall’s iconic bear-hunting poster, 1938. For Choko, this is the sort of detail that keeps the graphic art of the Canadian Pacific endlessly interesting. “I wrote my first book on CP posters with David Jones something like 25 years ago,” he says. “This new book is much more complete because in addition to posters, it covers brochures, timetables, menus, and other great examples of the CP’s graphic work. And newly rediscovered Canadian Pacific posters pop up every two or three months—the supply seems endless.” As big and as boundless, one might say, as Canada itself. 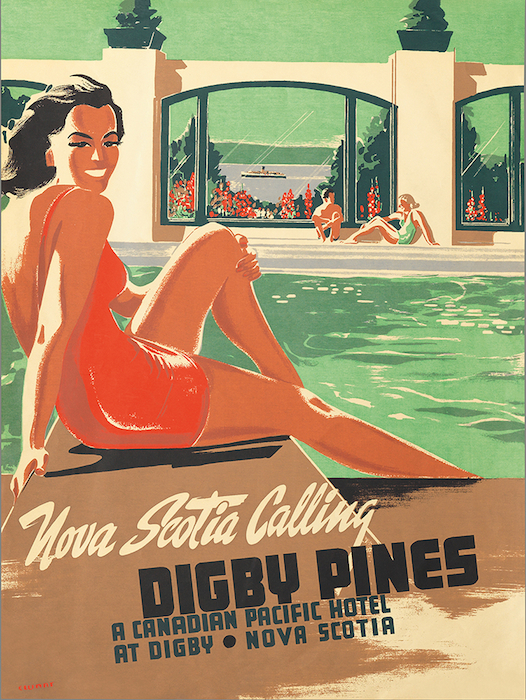 Peter Ewart poster for the Digby Pines hotel, circa 1940. 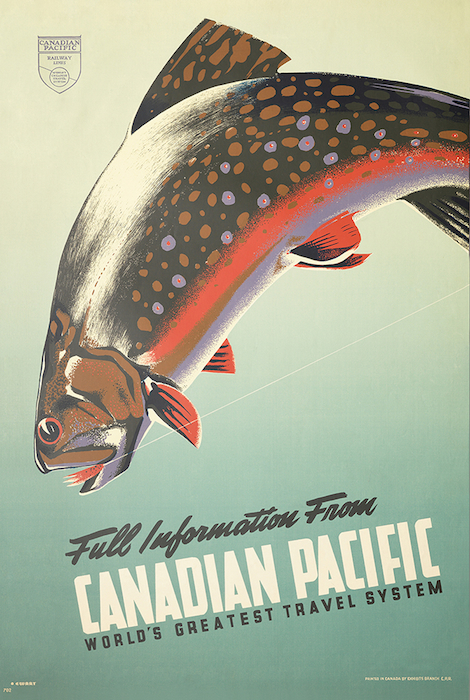 Peter Ewart poster promoting fishing in Canada, circa 1942. 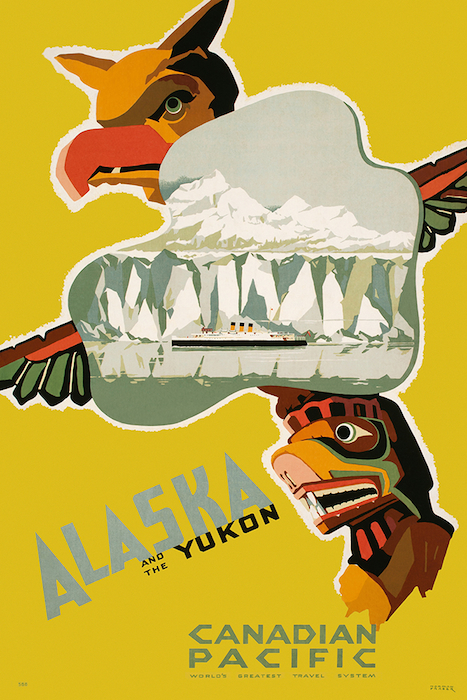 Norman Fraser poster promoting cruises to Alaska and the Yukon, 1939. 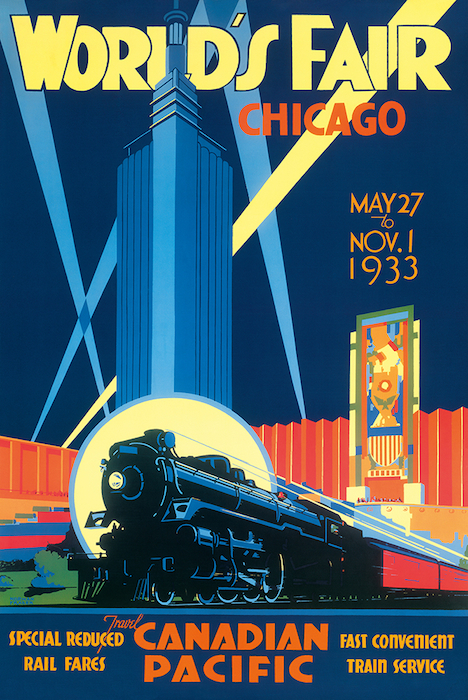 Chicago World's Fair poster by Norman Fraser, 1933. 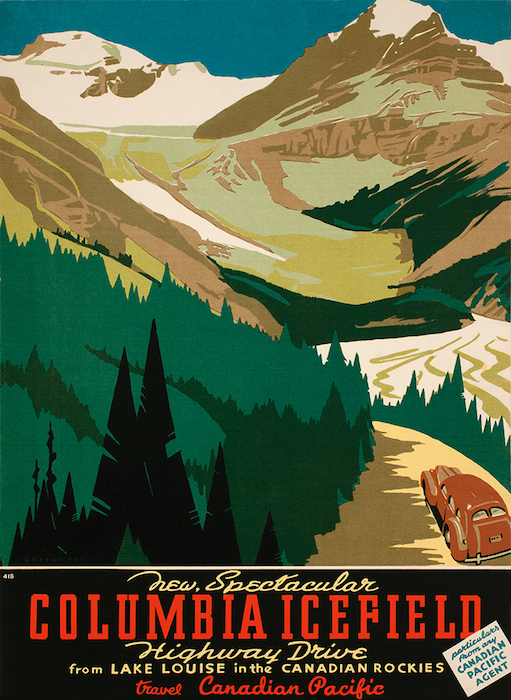 Charles James Greenwood poster promoting driving excursions from Lake Louise, 1935. 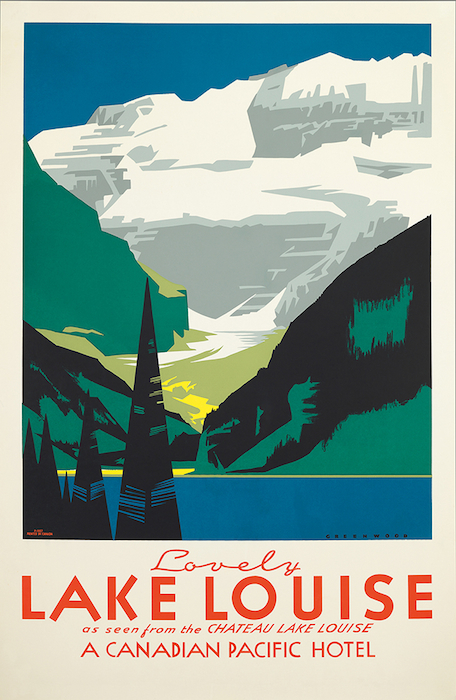 Charles James Greenwood poster promoting vacations at Lake Louise, 1935. 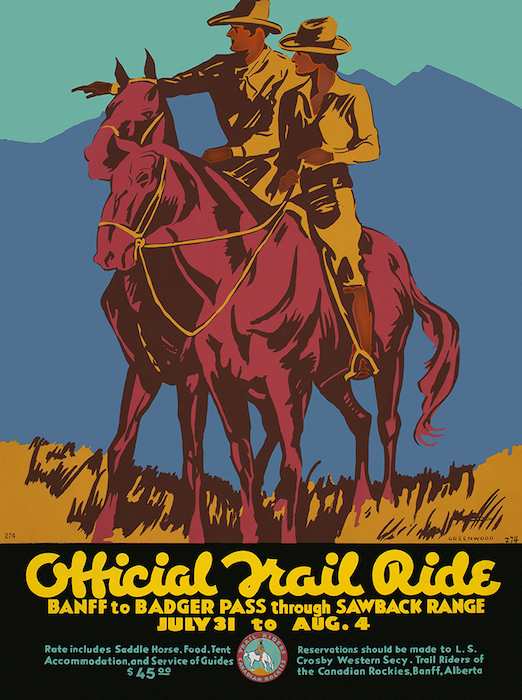 A Charles James Greenwood poster promoting trail rides from Banff, 1935. 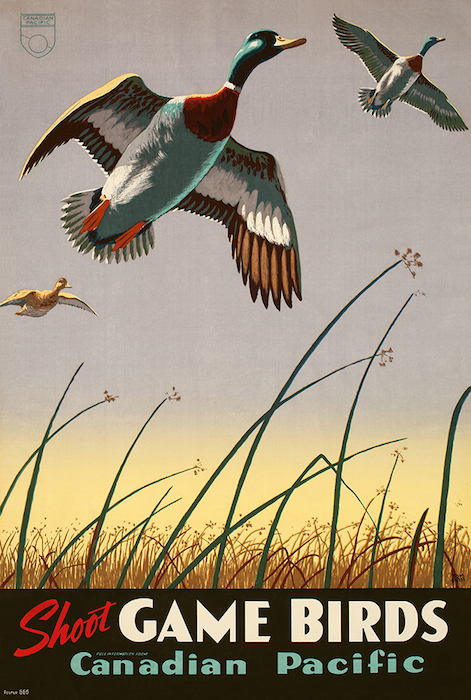 Thomas Hall's "Shoot Game Birds" poster, 1941. 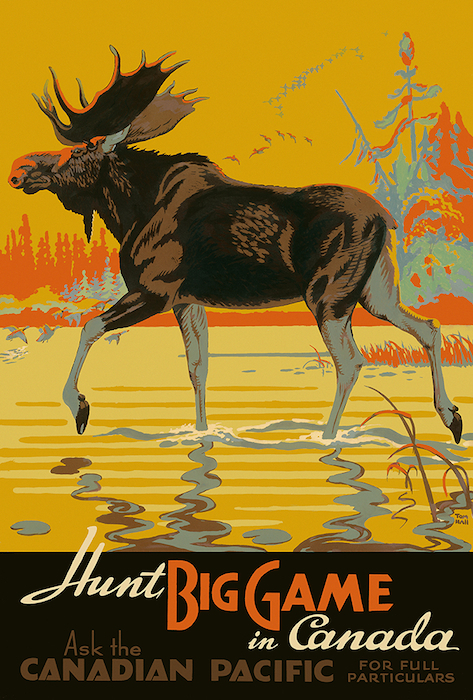 Thomas Hall's "Big Game" poster depicting a moose, 1938. 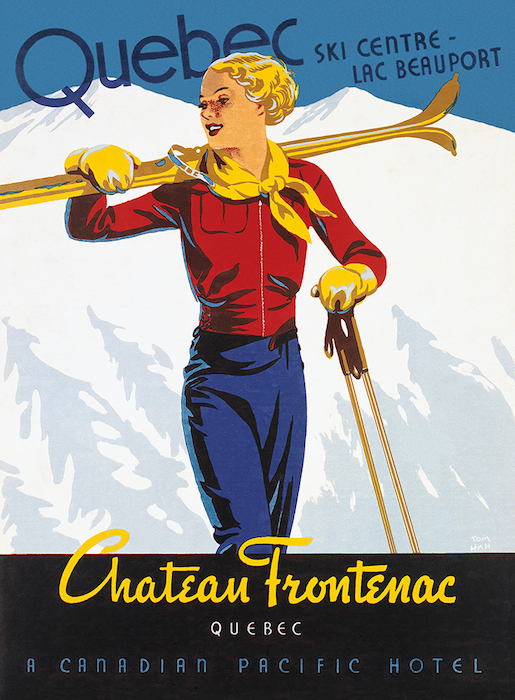 A Quebec skier by Thomas Hall, circa 1938. OMG I love these especially the ones from east coast. I renovated a CN caboose for a cottage and always looking for cool wall art.